Is MY Student READY for Algebra? This is a question that we often receive, and our answer sometimes surprises parents. Students CAN be ready sooner than many parents realize. One reason directly relates to the VideoText approach to the teaching of Algebra. Module A could be called “Algebra Readiness” because it RE-TEACHES essential arithmetic concepts the way they will be used in a formal Algebra course. 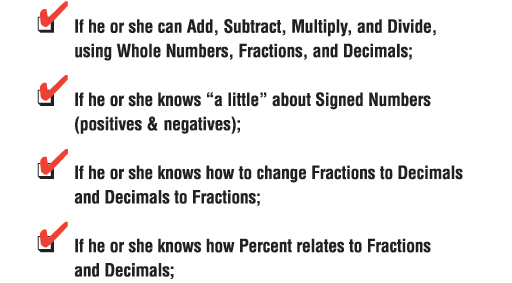 This focus on the “WHY” behind each and every arithmetic procedure is the key to student understanding and success in Algebra. Even if your student has not completely mastered these arithmetic concepts, we will re-teach them as if they have never seen them before, using computer-generated graphics, animation and color-sequencing, to ensure their complete understanding.